Typically I’m not a fan of fruit in my beer, but Samuel Smith makes a quality beer, put very simply. Their list of organic beers is well worth the import price, and they have a pretty readily available selection right here in the states. Their fruit beers are a collaboration with the antique steam brewers at All Saints Brewing in Stamford, Lincolnshire in England. Organic barely and wheat, two fermentations, and organic cherry juice have been blended together to make this fruit beer. Eyes and Nose: Pours ruby red with a bubbly pink head that holds for some time. Brilliant cherry and sugar notes with a touch of grape must. Mouth: Feels like a cross between a juice and a sparkling wine, though not as effervescent. 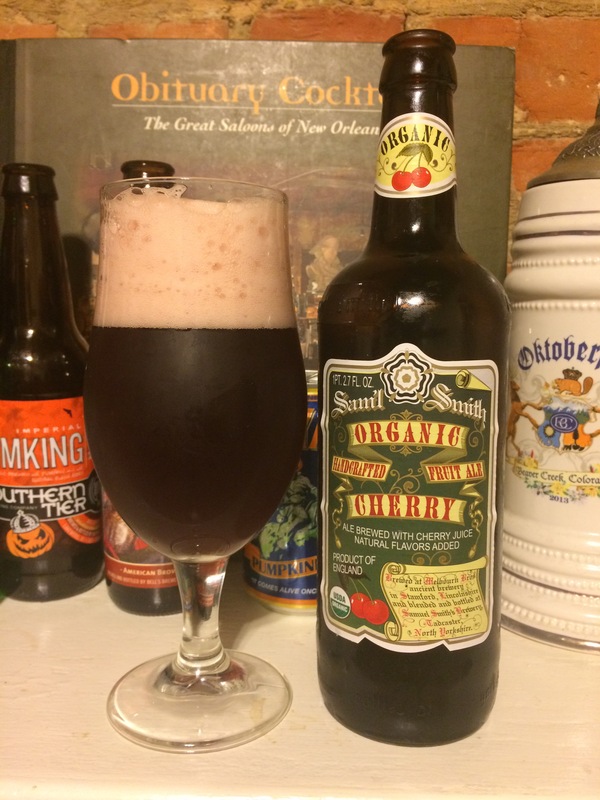 Tart and sweet cherry flavor, balanced with a decent malt that makes this an incredibly smooth fruit ale. Subtle notes of grape, sugar, and yeast with a numbing sensation on the tip of the tongue. Rating: This is like drinking grandma’s cherry pie at Christmas. Make sure to grab a proper tulip or goblet so you can really enjoy te full bouquet of this beer. Just sweet enough to be a treat, while still being a good malty ale.